"...The inclusion of SilverFast's HDR program is the icing on the cake"
"... HDR version is ideal for users who can produce RAW high bit data ..., the color neg handling is very, very good. Highly recommended!" A new era of batch processing has begun with the new SilverFast Color Server, an optional add-on to HDR Studio and DCPro Studio. Standardize the most common workflows of image editing tasks and allow all users on the network to use desired settings. Increase productivity and produce superior results. SilverFast HDR Studio - For those who like to be creative and productive! 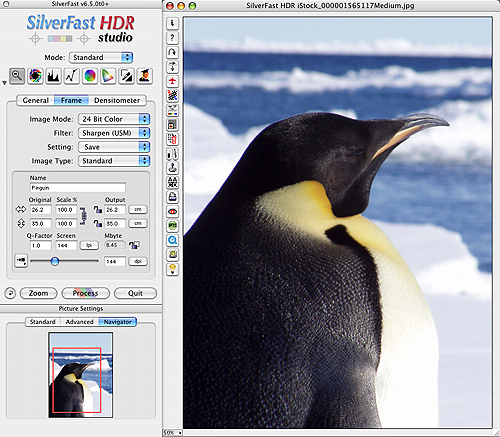 SilverFast HDR Studio was especially designed to meet the demands of professionals. With many new scanners and digital SLR cameras it is possible to save the full Dynamic Range (HDR - High Dynamic Range) of the hardware in TIFF data files. Therefore, reduced sampling to 24bit RGB becomes dispensible and the possibility to save these RAW data files allows for a completely new workflow. Instead of directly driving the scanner SilverFast HDR enables the user to read and process the RAW data files as if directly accessing images from the scanner. LaserSoft Imaging is proud to present SilverFast HDR Studio. This is an enhanced version of SilverFast HDR with new features and the integration of SilverFast DCPro to also read RAW data from digital SLR cameras, making the processing of your digital images much more easy and convenient. Users of SilverFast DCPro and HDR versions can upgrade to HDR Studio (for a fee) to get those powerful features such as SilverFast AACO (Auto-Adpative Contrast Optimization), Unsharp Mask Plus, JPEG 2000 High Dynamic Range Compression (lossless or lossy 16bit compression), PrinTao (creative and productive printing with text, templates, etc.) and more. The HDRi feature is part of any SilverFast HDR and Archive Suite edition version 6.6.1 or later. The 64bit HDRi color files (and the 32bit grayscale files, respectively) developed therefore contain all readable image information including the information from the infrared channel, the data from which can be used for image optimization (e.g. dust and scratch removal). Hence, HDRi RAW data is the perfect source material for any later post-processing steps. Read more about SilverFast HDRi. 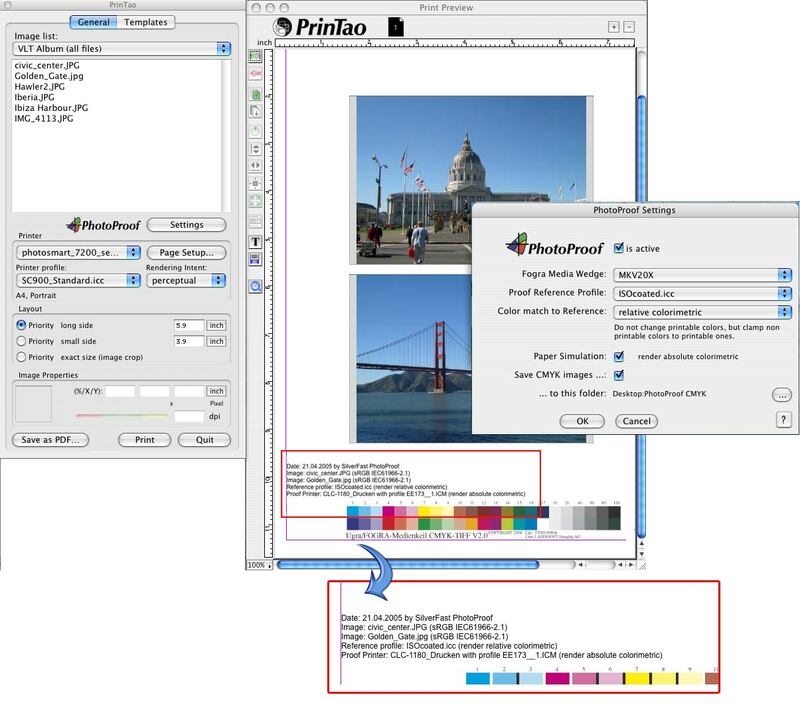 By using SilverFast PhotoProof you are able to create a color-managed contact proof on a calibrated output device. You only have to select the ICC profile of the printer, paper and ink combination and the desired FOGRA media wedge. The media wedge is used as a reference for a true-to-color proof. When activating SilverFast PhotoProof, you will see a simulation of the CMYK reference color space by soft proofing on the calibrated monitor. Users of the versions DCPro Studio and HDR Studio can download the new SilverFast PhotoProof option as an upgrade for an additional cost. The automatic Hot-Folder feature makes image optimization time-saving and effective. Post-processing, optimization or color space conversion of several images runs automatically, instead of requiring a time-consuming manual adjustment. Read more: the SilverFast Hot-Folder system. Note: The Hot-Folder feature is available as an Add-on (with cost) for SilverFast HDR Studio. Enhances shadow details in high contrast images without affecting the overall brightness. An image browser that appears like a professional light table. Import and rename your data in a single step. The support of the JPEG 2000 format enables SilverFast's strongest compression to process such data 3 to 7 times faster than Photoshop. 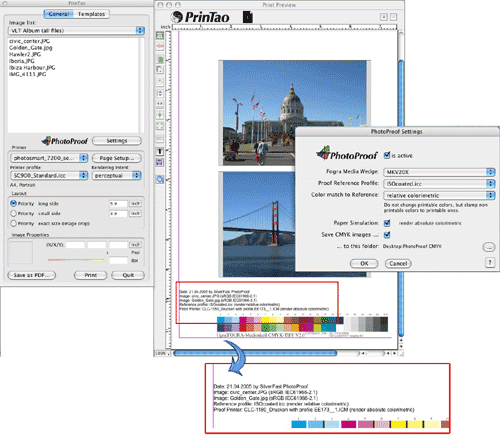 Innovative, color managed print helper with implemented layout functions and effects. Add image information according to the "International Press and Telecommunication Council". Simple tool for cloning of pixels. SilverFast Hot-Folder - A new way of image processing in batch mode! Photoproof is a tool for color-true proofs - color-true printing without Rip!